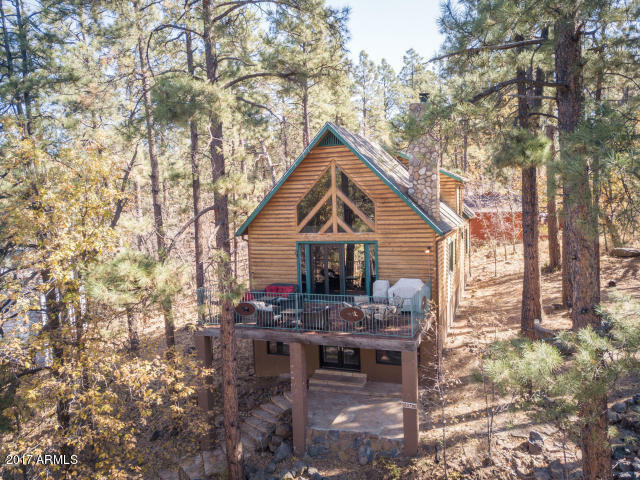 All Pinetop-lakeside homes currently listed for sale in Pinetop-lakeside as of 04/18/2019 are shown below. You can change the search criteria at any time by pressing the 'Change Search' button below. 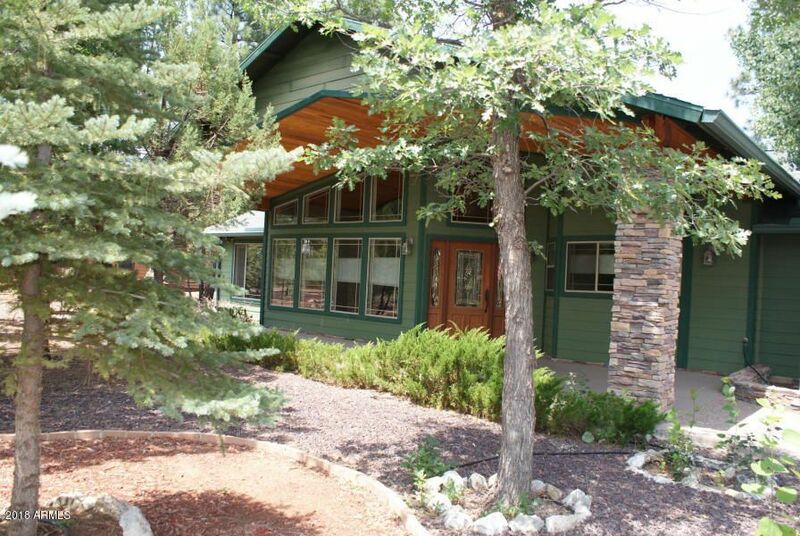 If you have any questions or you would like more information about any Pinetop-lakeside homes for sale or other Pinetop-lakeside real estate, please contact us and one of our knowledgeable Pinetop-lakeside REALTORS® would be pleased to assist you. "Your search is over! Charming Tucson home with a wonderful open floor plan, 3 spacious bedrooms, and 2 full baths! Fall in love with the designer paint tones, tile & wood flooring, and large picture windows that allow for tons of natural light! Create a culinary delight in the bright, open kitchen that features white appliances, a plethora of cabinets, and ample counter space. Retreat to the master suite with en suite and let the spa like bath take the cares of the day away! Enjoy the serene bac"
"4 BR/3BA +den & loft, 2 car garage stand alone home located minutes from Pinetop Lakes Golf Course, close to Sunrise Ski Resort, biking & hiking trails, restaurants and shopping. 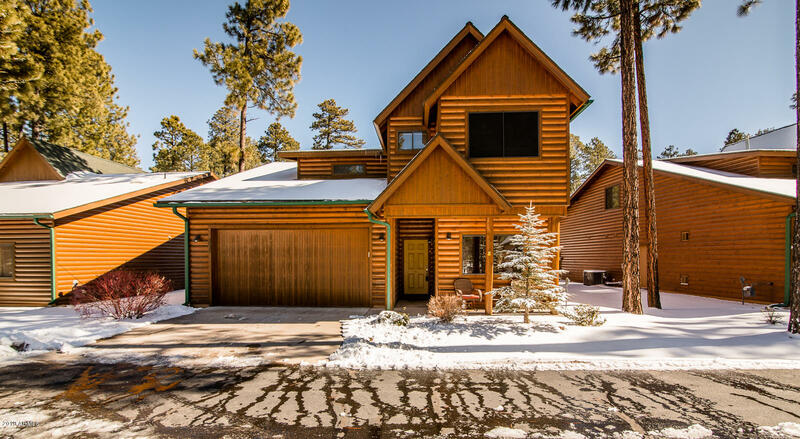 This mountain retreat is located in the desirable gated community of Pinetop Crossing and is being offered fully furnished throughout. The open floor plan concept features vaulted ceilings, hand crafted log handrails, a fireplace and a great galley kitchen with breakfast bar. The master bedroom suite is down along with "
"You'll love this charming cabin nestled in the tall ponderosa pines with a spectacular tree house deck. This 3 bedroom, 3 bathroom home with two living spaces will give you 2700 sq ft of generous space to move about (without losing that quaint, cozy atmosphere when it's time to cuddle up by the fireplace with a good book). Wake up each morning to awe-inspiring sunrises and drift off to sleep each night with the tranquil sounds of nature. Situated in a friendly community with all the beautiful Wh"